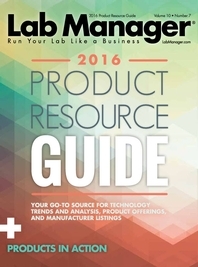 Tips and resources for buying a new centrifuge for your lab. What is the maximum g-force the centrifuge can generate? What g-force do you need? Comparing centrifuges with the same speed and capacity, what additional features and benefits does this specific centrifuge offer? What are the terms of the warranty and how long does it last? If the company discontinues the product, for how many years is it possible to obtain accessories and replacement parts? What about the cost of cleaning and maintenance? Cost of replacement parts and/or supplies? In addition to the purchase price, what are the overall costs of ownership such as any lab installation implications, service contracts, supplies, training, warranty etc.? How much space will the centrifuge take up? What are the ergonomic features to look for? If facilities are to be shared, find out about the potential to work remotely via an app or remote networking software. Biosafety is increasingly important—what are the environmental benefits or features? Ask about the capacity and throughput to be able to compare the performance capabilities of different products. Which Centrifuge is in Your Lab? Looking for a New Centrifuge? Lab Manager’s Centrifuge Product Finder utilizes a query-based system to quickly narrow the field of available centrifuges to those that specifically meet the requirements demanded by your application.